the egg tarts are not made of eggs! 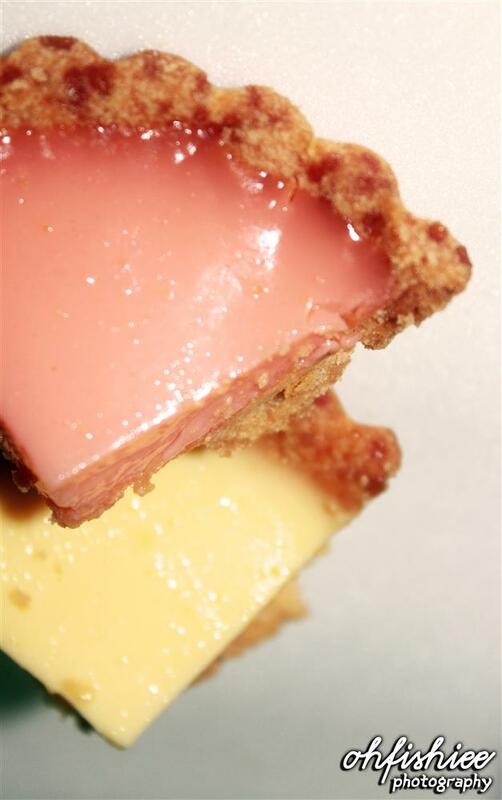 The base of the tart is a layer of baked crunchy cookies. Meanwhile the filling of the tart is 100% of the milk of different flavours. I first saw this from a night market hawker who sells various cakes, tarts and pastries. 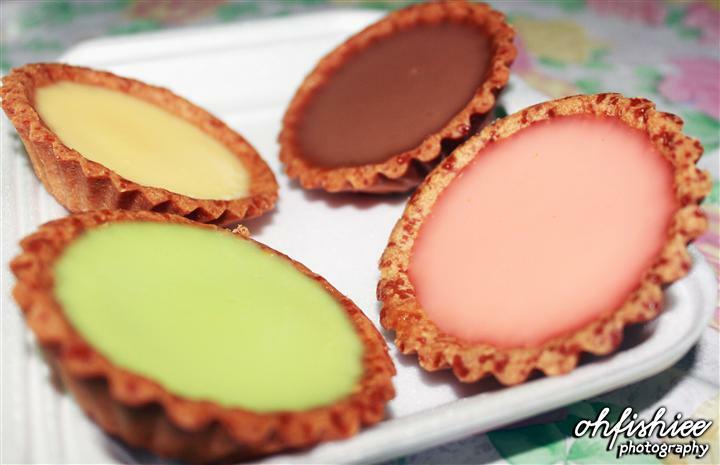 According to him, he can sell more than 500 tarts of various sizes in ONE (1) day! That's really a lucrative business. Priced at only RM 1.30 each, or a discount at RM 5 for 4 pieces. You'd definitely love a bite after another! interesting. wanna go check out and see if i can replicate for furkids who can't take eggs. lol. OMG...these egg tarts are so cuteeeee... 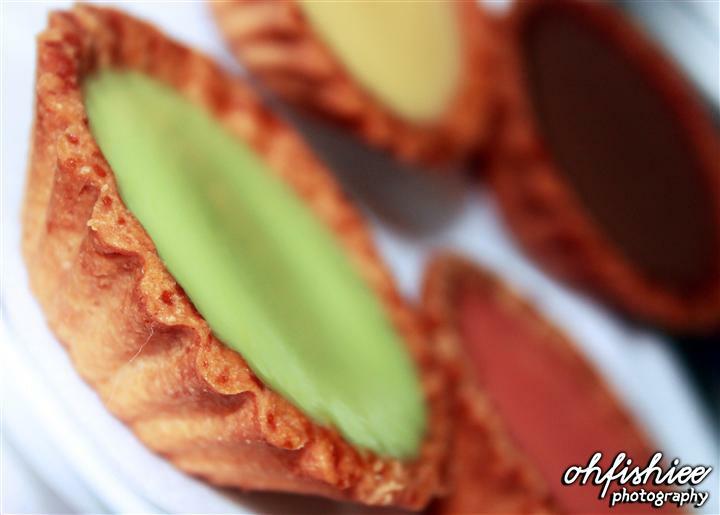 I love would to try their Pandan flavor. Which night market did you buy it from? 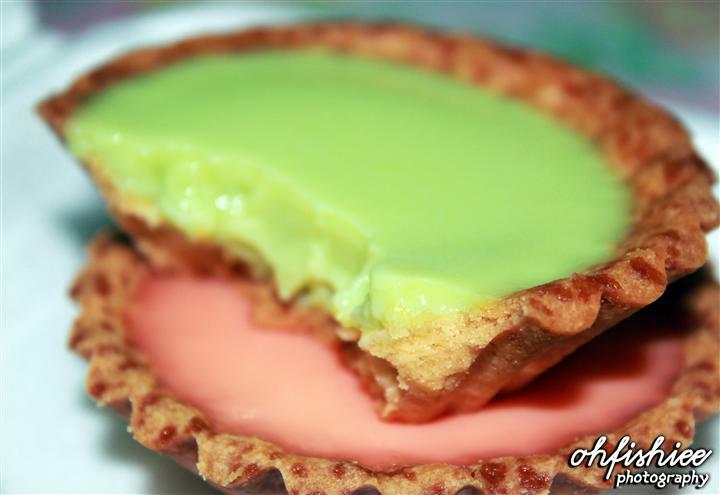 Eggless egg tart? First time I heard egg tart being made without using egg. It should renowned as milk tart since made from milk. Hehehe.. Colorful egg tart? I've never seen these before, so special! It looks like jelly on top and tart at the bottom. Special and cute. 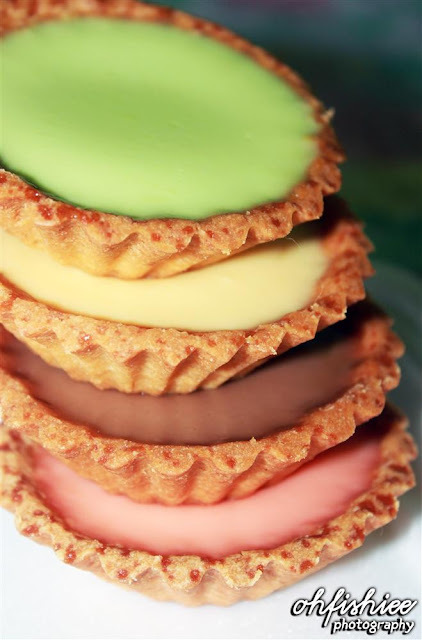 so it should be milk tart...LOL..
for those like these i could eat few dozens .. when i watch tv..
this is really new to me..egg tarts without eggs! Unique eggless tarts! Which night market? The one in Sri Petaling?